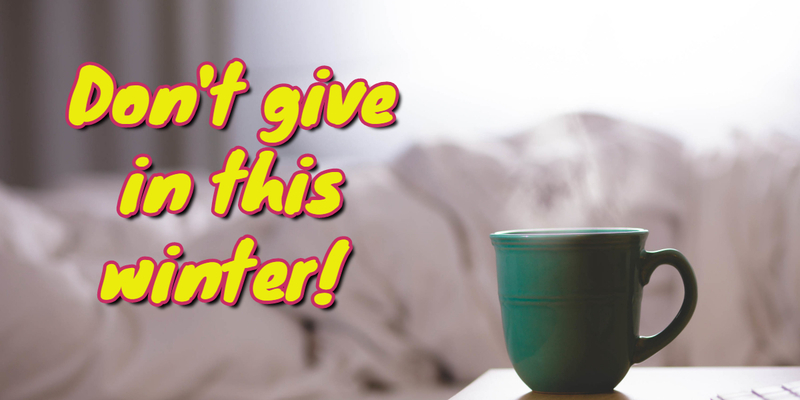 As the winter begins to take hold here are five tips on helping you stay out of your sick bed! Obviously, when it is cold, we grab for the nearest jumper but often a few layers are better at keeping you warm. A delicate vest or sleeveless top that is long enough to be really tucked in is a great start. I know I can feel much warmer when my back is securely covered. The other layers will depend on what you are doing, but again light and layered is the key. That way when you are in warm surroundings you can take a layer off to get to a more comfortable temperature. Having medicines to cope with the common winter illnesses like coughs and colds means you can often nip them in the bud before they take hold. As soon as you feel the shivers coming on, grab a hot drink and a couple of paracetamol or your pain-killer of choice, snuggle up and hopefully you will soon feel brighter. Remember to get your prescription medicines before the holidays! If you are feeling rough and the above remedy has not worked, pop along to your pharmacist for some advice. They will be able to guide you about what action to take. Make sure you get there sooner than later so that you can start to feel well and stay out of that sick bed. 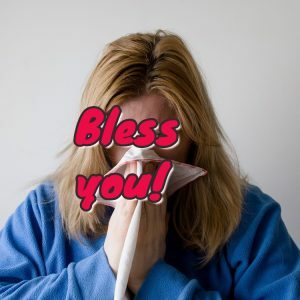 Nowadays, the availability of flu jabs have made a difference to many who have in previous years succumbed to what can be a very serious illness. I recently heard an officer of the council health and welfare department who urged those who were eligible to get their free jabs, particularly children. I know of some who have taken it say they felt really ill afterwards, so maybe it is not for everyone! Make sure you drink plenty of fluids. You may not feel much like eating but it is important to keep having those cups of tea and coffee and it’s a great excuse to treat yourself to a hot chocolate! Even drinking water regularly will help flush any bugs through and just generally make you feel better. The winter can bring with it dark, dull and very miserable weather than can bring down the spirits. Even so, wrap up and try to get out for a while. Take the opportunity to look around and actually SEE things rather than rushing around. What is the sky like? Can you hear any birds? Remember to breathe. Fresh air can be great medicine and really drive your determination to stay out from your sick bed! Share your remedies below for keeping well when winter bugs are around! The snowflakes look a bit daft as it is so mild here but it is a Christmas icon for me! As I spent a week of October in hospital, I really don’t deserve any winter germs, I’m sure you don’t either! It is amazing what difference a vest can make. Even my hands seem to stay warm!